SAN JOSE — Yu-Ai Kai/Japanese American Community Senior Service of San Jose will present a talk entitled “Looking Ahead: The Impact of Health Reform” on Saturday, Jan. 26, at 10:30 a.m. at the Akiyama Wellness Center, 110 Jackson St. in Japantown. With President Obama returning to office for a second term, many are wondering what the road ahead will be like – particularly as it relates to seniors and health care. What is the Affordable Care Act? Will it really strengthen Medicare, provide more preventative services and help with the high price of medication? 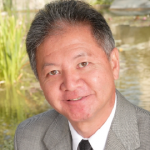 Yu-Ai Kai has asked Shawn Miyake, President and CEO of Los Angeles-based Keiro Inc., the largest not-for-profit health-care organization serving the Japanese American community, to share his thoughts on challenges and opportunities for seniors and the future of health care. To RSVP, call (408) 294-2505. Reminder: Yu-Ai Kai’s annual Crab and Spaghetti Dinner and No Attendance Required Opportunity Drawing will be held on Saturday, Feb. 9, from 5 to 8 p.m. (take-out from 4 to 6 p.m.) at San Jose Buddhist Church Annex, 640 N. 5th St. in Japantown. Early bird prices (dine-in $40, take-out $35) until Jan. 31. For more information, visit www.yuaikai.org.